Alexey Valentinovich Ulyukaev (born 23 March 1956, Moscow) is a Russian politician, scientist, and economist. Between 24 June 2013 and 15 November 2016, he held the office of Minister of Economic Development of the Russian Federation in Dmitry Medvedev's Cabinet. From 2004 to 2013, he held the post of Deputy Chairman of the Central Bank of Russia. He holds a Doctorate of Economic Sciences. The Investigative Committee of Russia announced that Ulyukaev had been detained in November 2016 due to allegations that he received a $2 million bribe for an assessment that led to the Kremlin-controlled oil company Rosneft's acquisition of a 50% stake in Bashneft. This followed an apparent sting operation after months of surveillance. On the same day, Vladimir Putin dismissed him from the ministerial position. FSB General Oleg Feoktistov freed himself from Rosneft. The investigation is sure to proof the guilt of ex-Minister of Economic Development, in particular with the help of records of negotiations. The names of most of his interlocutors are classified. The crisis canceled out all the previous results: in 2000-2016, the Russian economy has grown less than the global one. The property of the former Minister of Economic Development, Alexey Ulyukayev, has been arrested, RBC was told in the Basmanny Court. What new Economic Development Minister Maxim Oreshkin is famous for. Belarusian dictator wanted to improve the energy balance. 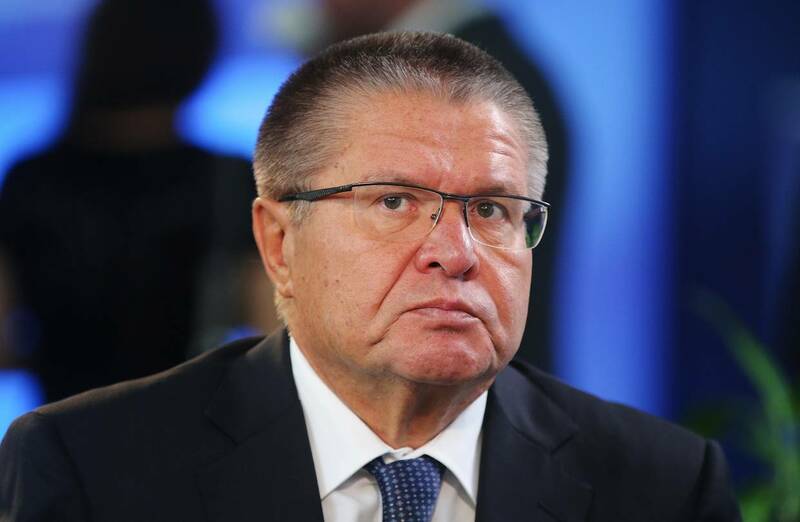 Reasons behind the criminal case related to the Economic Development Minister Alexey Ulyukayev, who was put under the house arrest by the decision of the Basmanny Court of Moscow on November 15, may have some additional explanations. First of all, due to the scandals associated with VTB state bank, where Ulyukayev heads the supervisory board. The arrest of Alexey Ulyukayev is the first step towards the arrest of the famous dog lover. The Investigative Committee said that the Minister of Economic Development extorted $2 million for the purchase of Bashneft shares by Rosneft. International Consortium for Investigative Journalism found offshore companies connected with the families of 12 Russian officials, including Alexey Ulyukayev and Dmitry Peskov. What is known about these companies? Ministry of Economy of Ukraine published the provisional list of banned Russian goods. For Turkey, it is fraught with the loss of markets worth billions of dollars; for Russia, the acceleration of inflation and the decline in the economy. Failure of Transaero to follow the labor legislation may be a prelude to the airline's leaving the market.